regular style doors are 6 foot, 8 inches (6’8″) tall, hollow core. At La Galleria we have solid core Fir doors that are 7 feet tall to match the upscale feel of the 9 foot ceilings. 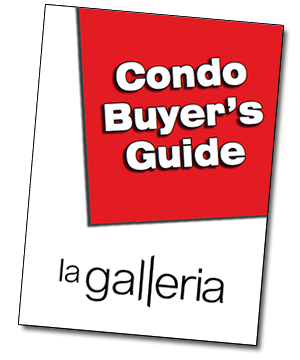 La Galleria offers liveable area ranging from 1200 to over 1700 sq.ft. Older buildings are notorious for sound transmission between suites. La Galleria goes many steps beyond what is required in the building code. Even with this extra acoustic work, you will still be able to detect other people living in your building. We provide buyers with best estimates of strata fees for the first 2 years. Actual fees are based on operating costs monitored by the Strata owners through their Strata Council and are also governed by Provincial legislation. 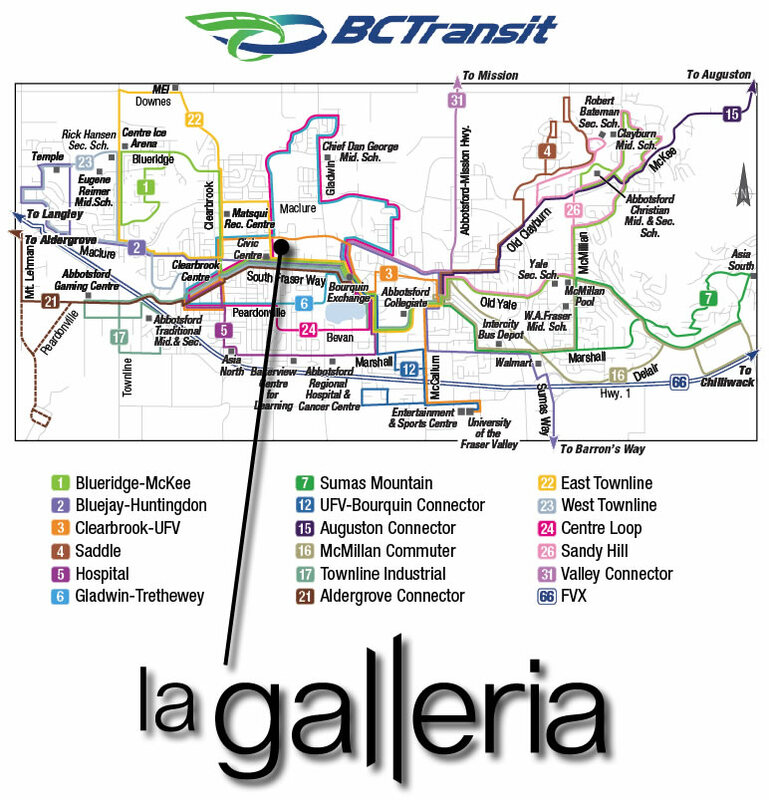 La Galleria is a block and a half from Abbotsford’s main transit corridor, South Fraser Way. The Central Fraser Valley Transit System, a part of BC Transit, provides scheduled bus routes throughout Abbotsford and linking with Mission, Langley, Chilliwhack and Vancouver. Skytrain is accessible by taking Route 2 to Highstreet, then transferring to the Fraser Valley Express that takes you to the Skytrain Express Bus #555 at the 202 Street Park & Ride in Langley. Our buildings have a 2-5-10 year warranty with TRAVELERS Insurance Co.